We offer two versions of our popular Tax Tips client newsletter – one for your individual clients and one for your small business clients. These newsletters are perfect for keeping in touch with your clients throughout the year. Tax Tips are professionally designed in full color and are written in a friendly, inviting style, as if you wrote them yourself. 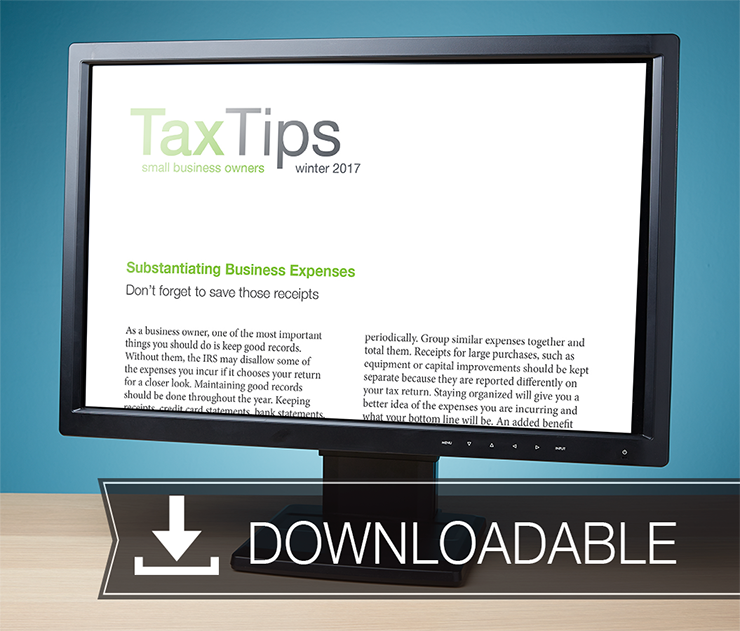 Downloadable Tax Tips Individual and Small Business versions give you the flexibility to reach your clients through print, email or your website. Easily add your contact information to either the fillable pdf file or plan text version. Dimensions: 8.5" x 11" and 11" x 17"
Product files will be available at your My Downloads page.